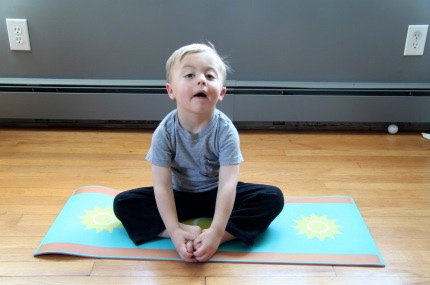 For kids with physical disabilities, yoga can encourage stretching, posture and body awareness. Motor skills can improve. 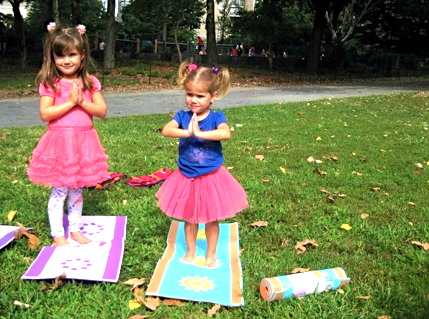 Most kids love yoga because it's fun and non-competitive. For all children, it can help with focus, listening skills, confidence and peace of mind. Moms love it because kids get calm and are less reactive. Try any of these poses with your child, gradually evolving into the full sequence of five. Yoga can be done anywhere but it helps to have a quiet space and a mat. Wear comfortable clothes, no socks. 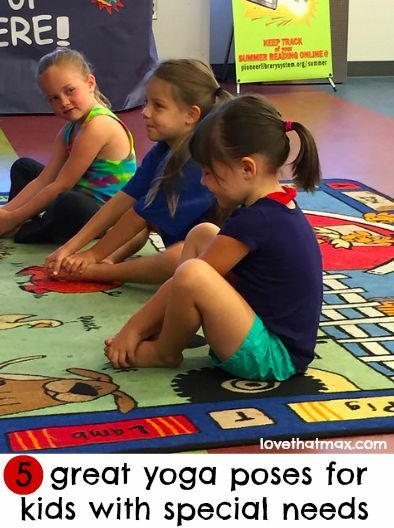 Gently talk your child through each pose and if necessary guide their body to the position—or stand behind them, holding their hips for support as together you go through the motion. The sequence below works in order, but after a few sessions kids can feel free to mix it up. Om on! Stand tall and straight like a mountain. Press your feet into the earth and your palms in front of your chest. Take five deep breaths through your nose. Feel your mountain power and strength! Create a star with your body by separating your feet as wide as you can and stretch your arms out. Sing or hum one stanza of “Twinkle Twinkle Little Star” while slowly rocking back and forth from one foot to the other. One foot may lift off the floor. Keep the arms wide for balance. Imagine you are up in the night sky dancing with your star friends. Sit on your mat and put the soles of your feet together, knees wide. Hold your toes and gently flap your knees like butterfly wings. Can you touch your nose to your toes? Sit on your mat with legs out front, hands next to you. Bend knees slightly and bend forward kissing each kneecap a few times. 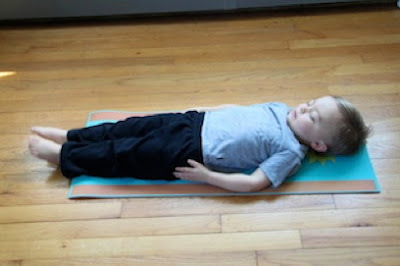 Lie on your back so your whole body is resting on the mat. Now tighten up your entire body including your face and make your body as tense as possible. Hold for a few seconds. Release with an exhale. Relax, close your eyes and rest for a few minutes. 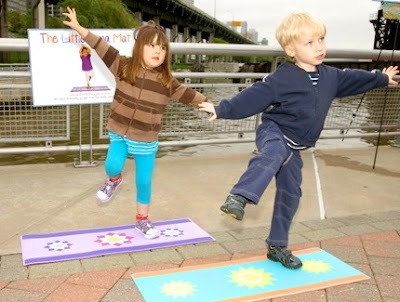 Jensen's got a Little Yoga Mat Kickstarter going on; she's raised close to $20,000 so far to create The Little Yoga Tree Mat for kids ages five to ten, and plans to donate half of the first production run to children's hospitals because she is awesome that way. She hopes to hit her goal of $35,000 by August 7.